Meanwhile, Trishala (born to Sanjay Dutt and his first wife Richa Sharma) is a resident of New York, simultaneously celebrated her birthday in the Big Apple. 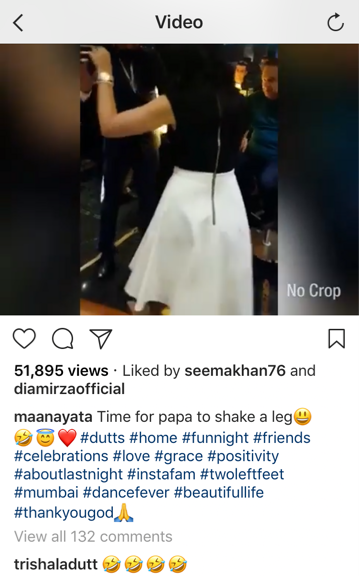 Trishala shared pictures from his party, for which she was dressed in a peppy Dolce and Gabbana bodycon dress paired with Jimmy Choo heels. Maanyata wrote 'beautiful' in the comments section and we corroborate. Pink & Pineapples many messages about my dress so for those asking for a full length outfit pic!, (tap pic for outfit details) & special thanks to @glambyyaz for the makeup glam! thank you for all your sweet comments! 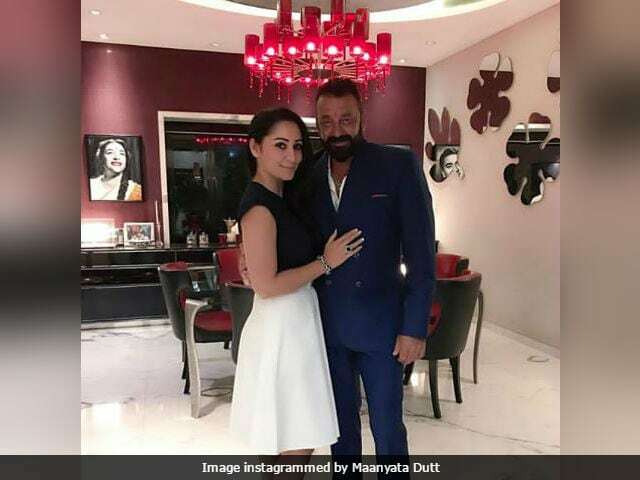 Back in India, Sanjay Dutt and Maanyata, who are parents to 6-years-old twins Sharaan and Iqra, hosted a party to celebrate Trishala and her father's big day. Sanjay Dutt completed his five-year jail in connection with the 1993 Mumbai blasts and is all set to return with a bang in the Omung Kumar-directed Bhoomi, which also stars Aditi Rao Hydari. At the trailer launch event, Sanjay Dutt received a beautiful audio message from Trisha in which she said: "It feels so nice to know that you've decided to launch the trailer of your film on my birthday as a surprise. It's so much more that you've chosesn a film based on a father-daughter relationship as your comeback film. I'm really, really proud of you dad. You're stronger than you know and I'm really blessed to be a part of you." Meanwhile, actor Ranbir Kapoor and director Rajkumar hirani also attended the trailer launch event with the cast and crew of Bhoomi. Ranbir plays Sanjay Dutt in an upcoming biopic of the Vaastav actor directed by Rajkumar Hirani.